Cancer-related bone pain is experienced by patients with primary bone tumours such as myeloma and osteosarcoma, but is more commonly seen in patients with malignant tumours that have metastasised to bone. Bone pain is one of the most common and severe forms of pain associated with breast, prostate and lung cancer, yet little is known about the underlying mechanisms responsible for the pain. Cancer patients identify bone pain as the most disruptive cancer-relatedevent in terms of their quality of life and daily functioning, and it is also associated with increased incidence of morbidity, depression, and anxiety. 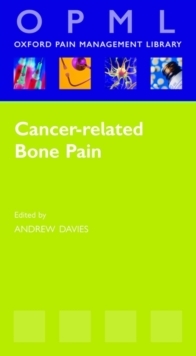 Part of the Oxford Pain Management Library, this volume summarises the latest evidence-based and practical information on the management of cancer-related bone pain. 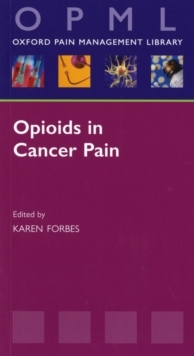 Chapters cover the pathophysiology and clinical features of bone pain, general principles of management and the use of opioids and other agents. It will be an invaluable reference for all health care professionals involved in the management of patients with bone pain from various disciplines including palliative care,anaesthetics, oncology and general practice.